The House Ways and Means Committee amended the House tax reform bill to eliminate the proposed and potentially sweeping changes to the tax treatment of nonqualified deferred compensation plans and certain equity awards. 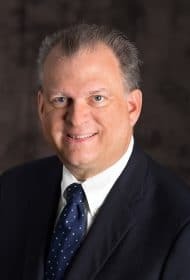 This means that the current tax law treatment of nonqualified deferred compensation and equity awards, such as RSUs, PSUs, SARs and nonqualified stock options, remains unchanged. However, the House tax bill changes to Section 162(m) of the Interal Revenue Code (e.g., elimination of performance-based compensation exceptions) were not affected by the amendment to the House tax bill. The changes to Code Section 162(m) are further described in our Client Update dated November 7, 2017. We will be issuing a Client Update on the Senate’s proposed tax bill and other changes made to the House proposed tax bill in the near future. Meridian Comment. The action by the House Ways and Means Committee is a welcome development. 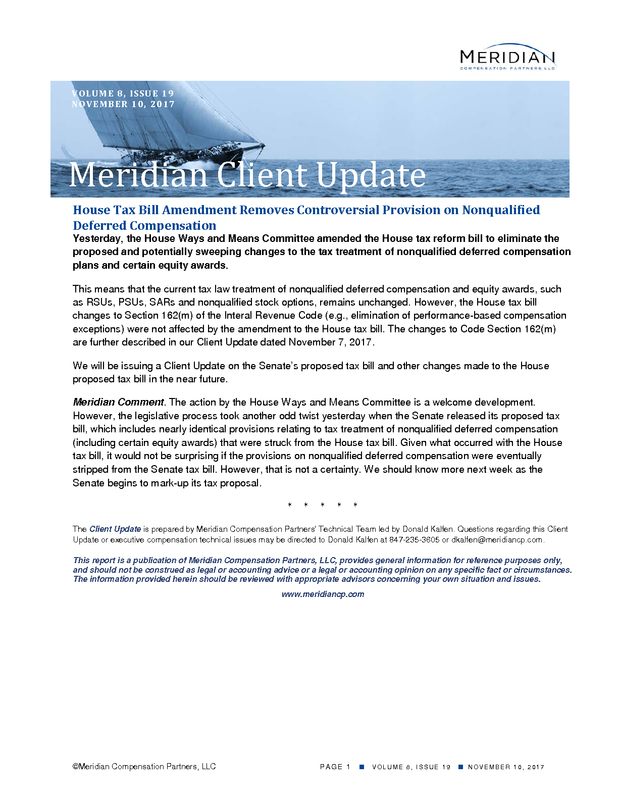 However, the legislative process took another odd twist yesterday when the Senate released its proposed tax bill, which includes nearly identical provisions relating to tax treatment of nonqualified deferred compensation (including certain equity awards) that were struck from the House tax bill. Given what occurred with the House tax bill, it would not be surprising if the provisions on nonqualified deferred compensation were eventually stripped from the Senate tax bill. However, that is not a certainty. We should know more next week as the Senate begins to mark-up its tax proposal.